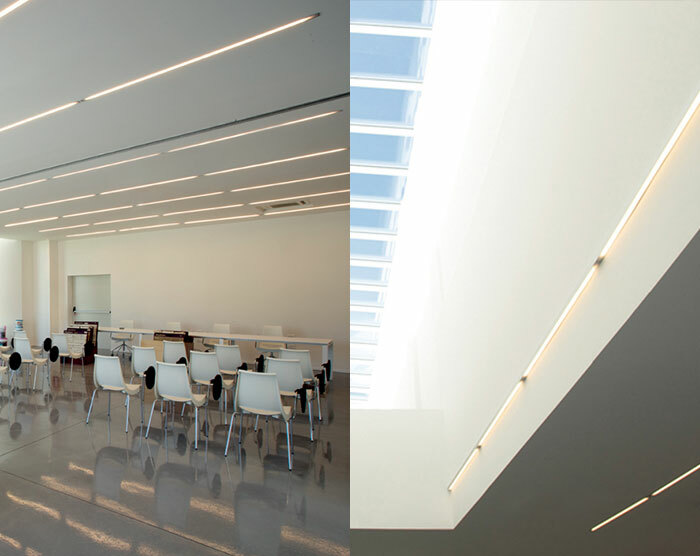 IP20 modular ceiling system for indoor use in white or matt silver oxidized extruded aluminium, available in recessed, ceiling and suspended versions. the electrified modules come complete with a supply unit for T5 fluorescent tubes and polycarbonate diffusers. ip20available in 600mm, 900mm, 1200mm and 1500mm and are wired for G5 14W, 21W, 28W and 35W lamps. 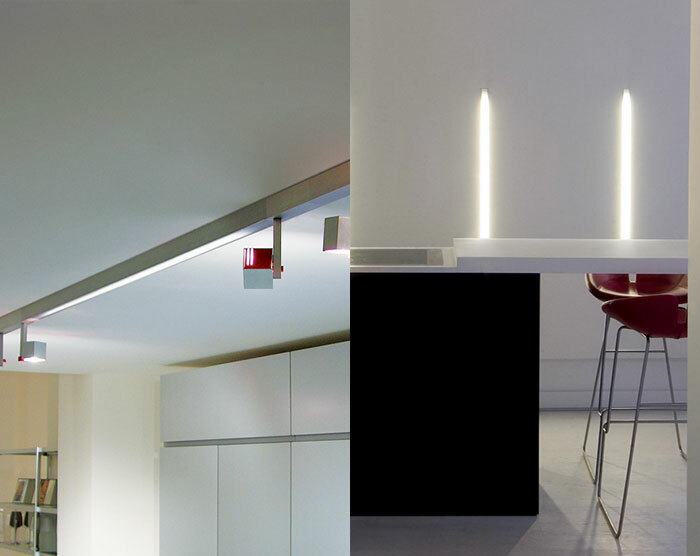 ‘tutta luce’ version has the power supply unit located inside the profile and the polycarbonate diffuser covers the whole length of the electrified module, creating a continuous line of light. as well as the electrified modules. c1 led available in 600mm, 900mm, 1200mm, 1500mm, with 18W, 27W, 36W, 45W ratings for the white led and 12W, 18W, 24W, 30W for rgb led. the following items are also available: 50W dichroic kit, profiles and connectors complete with cover and accessories (such as closing caps and linear joints). 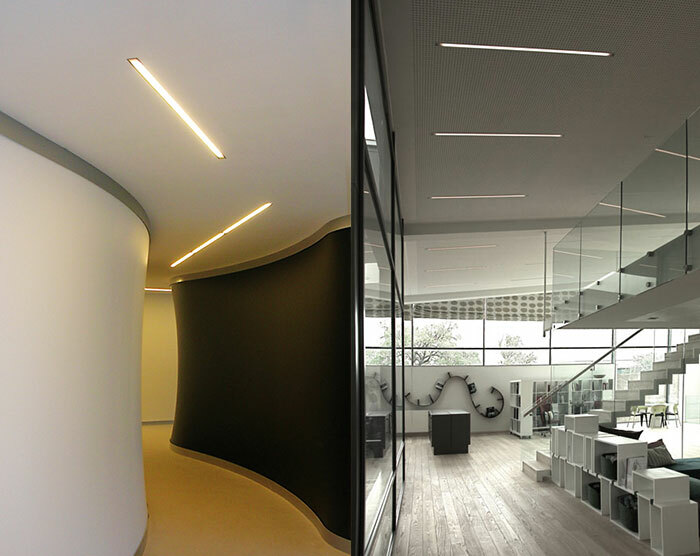 the recessed version of C1 is wired also for a 3000K white led or for rgb led with converter which allow modulating the light from white to various shades of colour. supply unit and rgb controls are not included.